If you’re looking for kitchen renovations in Newcastle that exceed expectations, you’ve landed on the right page. 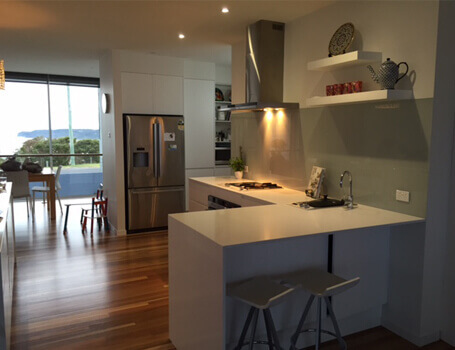 Elite Kitchens is a family-owned business that has been providing Newcastle and surrounds with beautiful interiors for more than two decades. 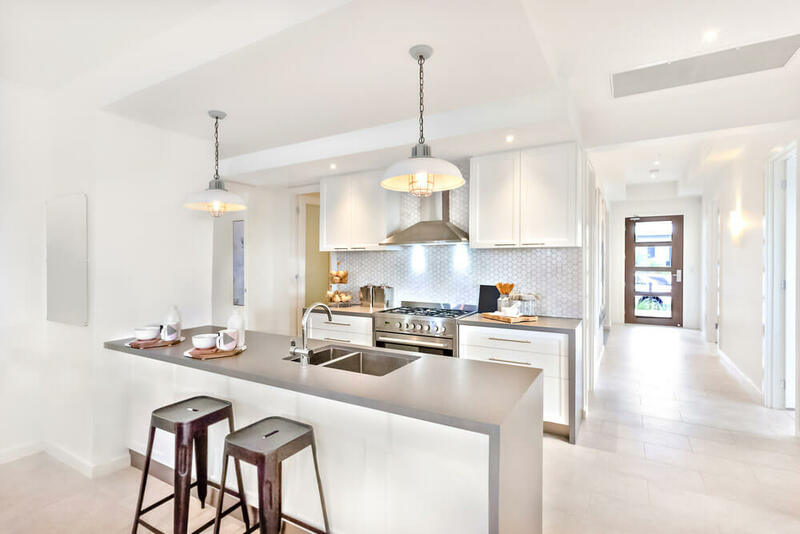 Whether you need a flawless benchtop, custom-design interior cabinetry or complete kitchen renovation, we can take care of it, to the highest possible standards. We are known for our honesty, reliability, work ethic and obsession with perfection. Our services cover every stage in the renovation process, including planning, design, manufacturing, supplying and building. Make the elite choice. Contact us today! With a complete suite of kitchen remodelling, renovation and new build services provided by an experienced team of industry professionals, creating your dream kitchen has never been easier. Providing balance to your interior design style through an array of colours, textures and finishes, our custom doors open up your home with exceptional craftsmanship, and unquestionable style. Whether for home or the office, nothing delivers more appealing aesthetics, enhanced functionality and better value-for-money than beautiful bespoke furniture custom created by our team of expert cabinetmakers. We are a small, independent boutique kitchen and interior cabinetry business that is dedicated to excellence in kitchen renovations in Newcastle. Every member of our talented team is passionate, imaginative, hard-working, highly qualified and extensively experienced. Between us, we have worked on kitchen renos and bathroom makeovers of all kinds, shapes and sizes – from historical cottages to spacious kitchens in grand mansions. Regardless of the job at hand, we approach every task in the same way. Fundamentally, our goal is to come up with beautiful, functional kitchens and interior cabinetry. That means meeting your needs and tastes, in every way, to ensure that we take your home to the next level. Rather than adopting a one-size-fits-all attitude, we see every client and every space as unique. We are here to work with you, towards turning your ideal interior into a stunning reality. At all times, you can count on our reliability, punctuality and commitment to perfection. We pride ourselves on turning up on time, meeting deadlines, staying within budgets, and delivering according to our word. Our customer service is second-to-none. Call us anytime, with any question, and rest assured that you’ll be answered with a friendly voice and expert knowledge. Moreover, we back our claims and promises with a ten-year guarantee. Every single kitchen reno we do comes with a warranty that lasts a decade. That’s one surefire way to bring you peace of mind. It’s also evidence of just how dedicated we are to our craft. We take so much care with our work, that we’re confident it’ll last for years and years. Should any problems arise whatsoever, we’ll sort it out quickly and thoroughly, without charging you a cent. Further proof of our excellence is our membership of the FIIA (Furnishing Industry Association of Australia). 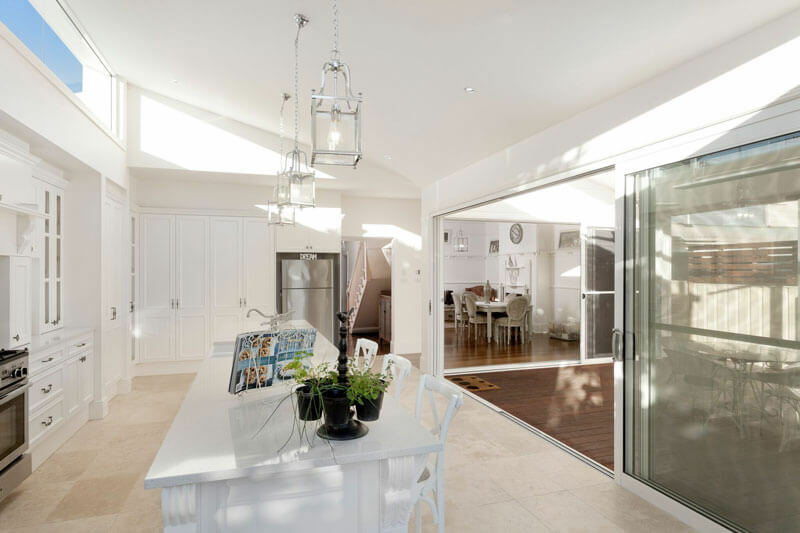 This is the peak industry body for residential building, renovation and development in Australia. All members are bound by a strict code of ethics, which ensures that they provide products and services with competence, fairness, honesty, value and integrity, and meet standards of workmanship in accordance with industry practice. We’re passionate about the good work that the FIAA does and are proud to be members. 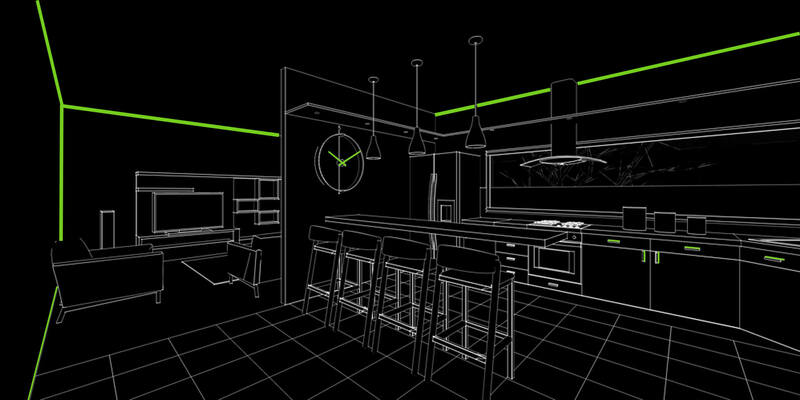 To help you visualise your new bathroom, kitchen, in-house bar or entertainment area, we use the latest high-tech 3D computer modelling tools, enabling you to see an exact scaled visualisation of your project and make changes to colour schemes and layout before work gets underway. We’re a team of experienced cabinetmakers with a commitment to quality, integrity and expert workmanship that exceeds the highest industry standards. 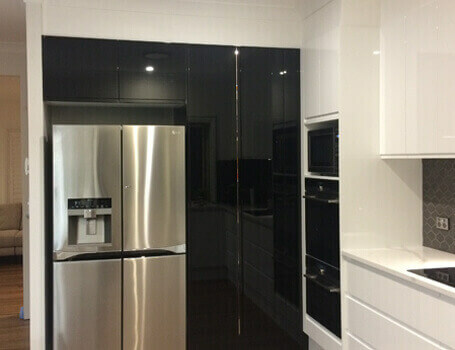 Specialising in kitchen and bathroom renovations and remodelling, splashbacks, benchtops, and more, you’re guaranteed the highest standards of customer service with our services. When it comes to kitchen makeovers, there isn’t much that we don’t do. We can look after absolutely every aspect of your interior, from the big picture to the tiny details. Once the job is done, you’re welcome to leave repairs and ongoing maintenance in our hands too. In addition to renovations, we design and build custom furniture, including benchtops, vanities, laundrys and entertainment units. If you have a product or service in mind and are wondering if we can assist, all you have to do is call and ask. When you hire us for a kitchen reno, our comprehensive service covers the entire process, from the initial planning stages to the last lick of paint. We begin with a consultation, which gives you a chance to tell us all about your vision and ideas. Some clients turn up on our doorstep with intricate plans, ready to go, while others come along with vague concepts. We don’t mind either approach. The consultation process also includes a site visit. This involves us coming to your home to undertake assessments and take measurements. We explore all possibilities, making sure that your plans realise the full potential of your space and are 100% accurate. Then, before going ahead, we give you a chance to see your design in 3D and full colour, thanks to our high-tech software. We assign one team leader to the entire process – from design to construction – keeping hassle and complications to a minimum. We can provide everything you need for your renovation. 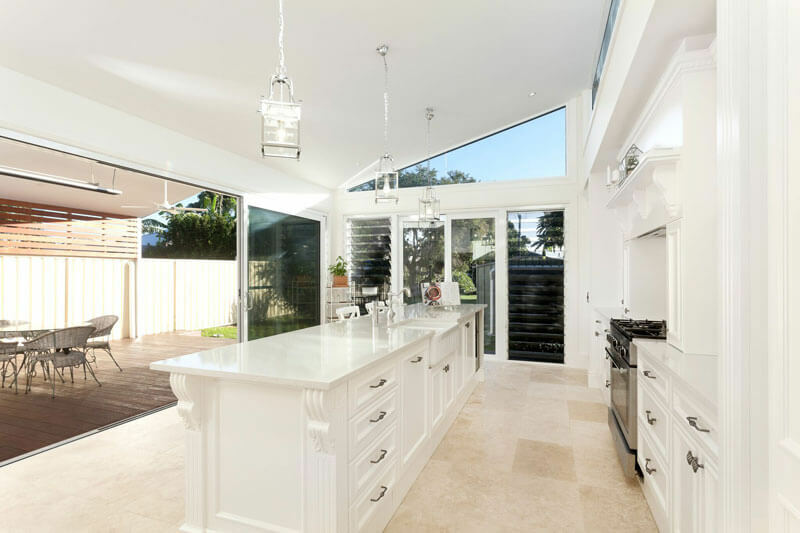 Are you dreaming of a perfect kitchen, filled with custom furniture – from the breakfast stools to the benchtop? Would you prefer a combination of custom-designed and factory manufactured elements? Is your budget generous, allowing you to dream big? Or are you facing financial constraints, yet still hoping for a beautiful, functional makeover? Whatever the case, we can help you to get there. We offer renovations of all types and scope. At one end, there are revamps that are entirely custom-designed and made with luxurious materials. At the other, there are those restricted by money and time. Either way, you can rest assured that we always aim for excellence and integrity. We work in a diverse range of materials. These include natural materials, such as stone and timber; and those of the human made variety, such as laminate, melamine, polyurethane, pure gloss, Likewood, two pack and many, many more. Thanks to incredible advances in technology, many human made materials are now extraordinarily durable, affordable and attractive in their appearance. Our access to so many resources means that we can offer kitchen renovations and bathroom designs in an impressive array of styles. Are you considering a sleek, contemporary kitchen, with clean, clear lines and eye-catching features? Would you prefer a more cosy, comfortable, rustic design, with an open fire? Are you planning on doing a lot of entertaining and hoping for a kitchen reno that can handle a crowd? Would you like to start with a simple, affordable interior, but leave yourself room to grow? When it comes to kitchen renovations and custom-designed furniture, the possibilities are endless. We are passionate about delivering interiors that will make your home more livable, functional and beautiful. Whatever your ideas, don’t be afraid to start exploring them. Feel free to give us a call or send us an email today. We’d love to make sure your next renovation is the one you’ve always wanted. Explore our full range of services here. 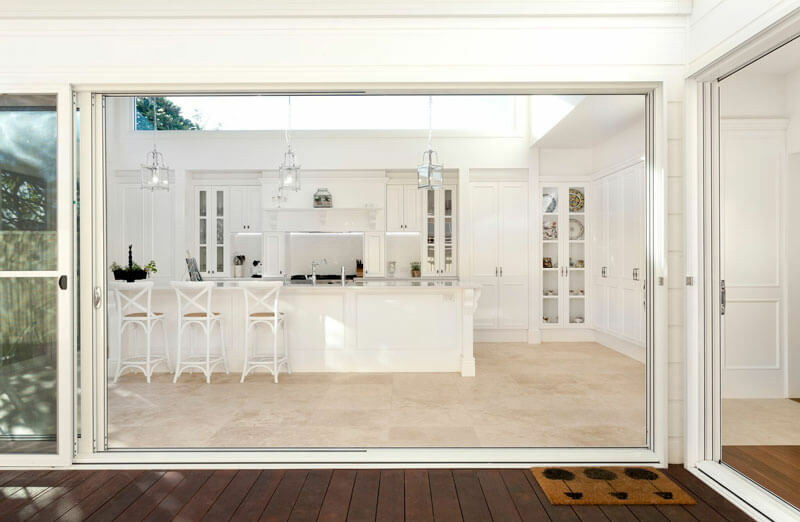 We work with kitchen renovations in Newcastle, the Hunter Valley and surrounding areas. We are happy to travel to you, wherever you are in the region. 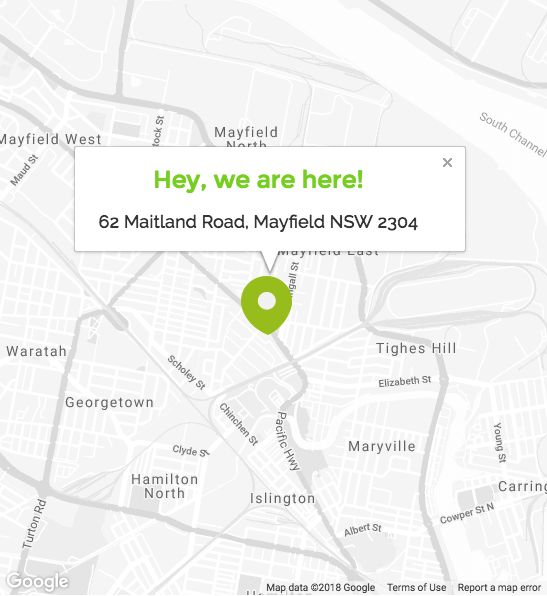 Whether you live in the CBD, Merewether, Morpeth or Lovedale, please don’t hesitate to get in touch. Having worked here for more than twenty years, we know the place like the back of our hand. We have made thousands of locals happy with our friendly approach, in-depth knowledge, unique designs and attention to detail, our next great project could be yours! When it comes to creating perfect kitchen renos, intelligent process is crucial. When you work with us, you’ll notice that we put an immense amount of time and effort into planning. This ensures that, when we get started, we do so with a clear direction in mind, 100% confident of exactly where we’re going and how we’re going to get your project there. The all-important first step is an in-depth consultation. This gives everyone the chance to ask questions, throw around ideas and explore possibilities. Whether you have a precise design in your hands or a general concept that needs sharpening, a consultation is vital. If you’re convinced of your plan, then we’ll test and challenge it, to make sure that, firstly, it’s going to work and, secondly, it will make the most of your space. If you’re only at concept stage, then we’ll help you to refine matters. We enjoy consultations because they’re an opportunity to chat, get creative and think imaginatively. Our process also includes a visit to your site. Although house plans can be incredibly accurate, there’s no substitute for seeing a space in real life. At this stage, we’ll make assessments and take measurements, ensuring that your design is completely right. Once the design is finalised, we enter it through high-tech software on our dedicated computer. This allows you to see exactly what it will look like once built, in 3D and full colour. You can even take a virtual tour, from any perspective, be it that of someone opening the front door or a bird’s eye view. When your expectations and ours align and collectively we are 100% sure that the design is ready to go, the renovations begin. You can rest assured that you’ll be with us every step of the way, so you know exactly what is happening and when.